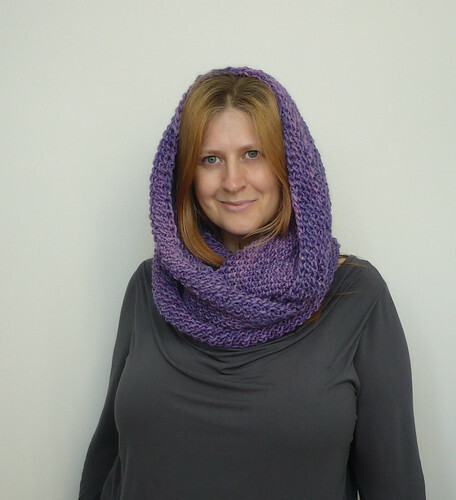 I have finished my Gap-Tastic Cowl - and I luuuuurve it! I could sing songs about it and rhapsodise about it's cosiness and it's beauty. I could dance elegant ballets in tribute to it's squishiness, but as all those are difficult to convey over the internet, here are some pictures. Isn't it lovely. It is huuuuuge. It keeps my head toasty warm too. I'm very pleased with how this turned out. The yarn, Araucania Azapa, really is divine. Doing a provisional cast on with this project, was definitely the right choice. 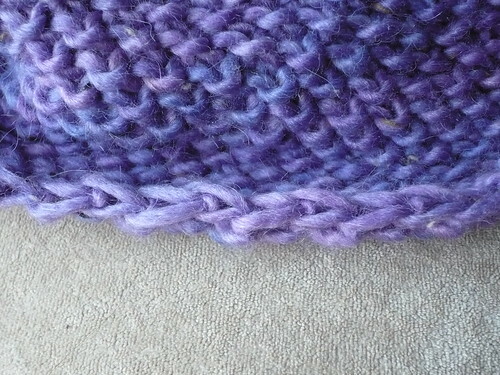 Being able to have both edges of the cowl matching, with an elastic bind off, really worked well. As I use Knit Pro Options needles, which are interchangeable, I used the cable from the system to create the provisional cast on, as in the video shown below. One advantage of this method, is being able to simply start knitting from the cable which is holding the cast on edge stitches. With the Knit Pro Options system, there is a further advantage, you can place stoppers on the ends of the cable, which stops the stitches sliding off while working on the main body of the knitting. 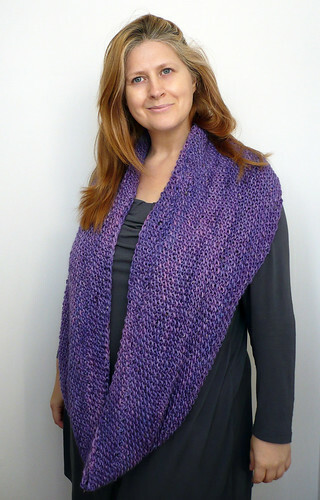 As usual, when I want to do an elastic bind off, I use Jeny's Surprisingly Stretchy Bind Off. Once I discovered how elastic this method was, I haven't really used any other technique for when a stretchy bind off is required. It's pretty easy to remember the method, once you have done it a few times. 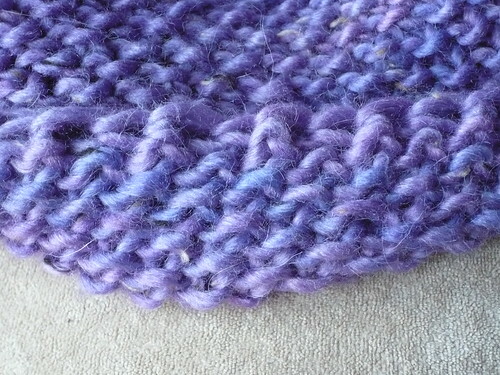 The bind off edge looks pretty neat, and from the flat surface of the knitted fabric, it disappears into the texture. The nice stretchy edge, means that you aren't limited in how many times you wind the cowl around, by having an edge that cuts into you. If the fabric is stretchy enough then so is the edging. 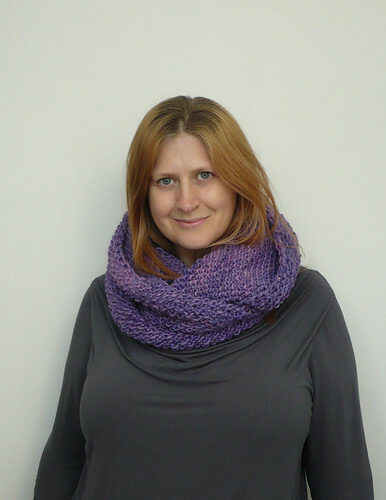 It enhances the soft, squishy and comfortable nature of this cowl. I highly recommend it!